Call or Text Now 07708 929 210 for a free quote, and give your windows an Ultra Clean. Welcome to Ultra Clean, 1st choice for window cleaning in Staffordshire. At Ultra Clean we are specialists in the field of window cleaning, enabling us to clean your windows safely while delivering you, the client, a professional, committed, and reliable service. We have been serving the industry for over 13yrs, and our attention to detail is second to none. Our equipment allows us to reach heights of 40ft, without the use of ladders or other access equipment. Therefore allowing the window cleaning operative to keep their feet on the ground. This allows us to complying with all aspects of Health & Safety. We use a reach and wash cleaning system for all our external window cleaning. This means you get the best results possible. 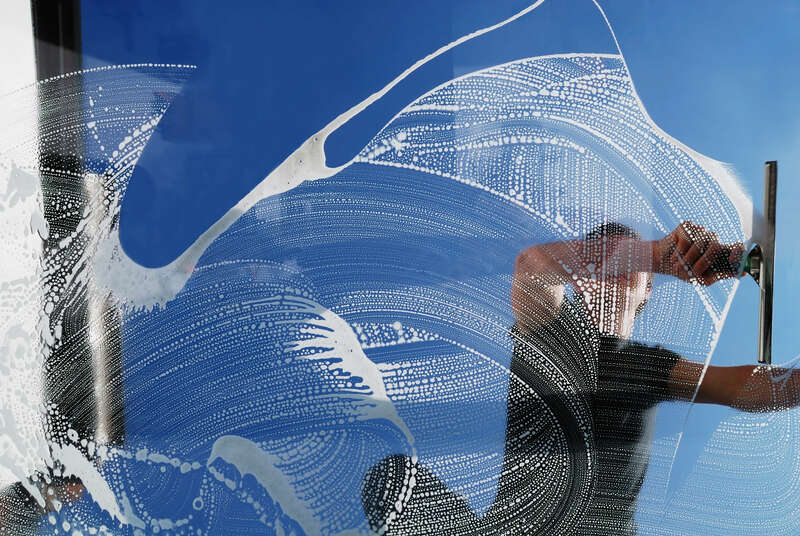 What makes us so different from other window cleaning providers? We believe its a mixture of, our strict attention to detail and sense of pride. Our ladderless system enables us to acheive better results than traditional methods. Impressive reach: Our telescopic pole systems enable us to reach all your windows, whilst keeping our feet planted firmly on the floor. Safety compliant: because we do not use ladders, we are fully compliant with the health and safety legislation. Eco-friendly: the ladderless system uses no chemicals or detergents, which can damage the environment in which we live. No disturbance or damage: ladders-free process reduces disturbance, eliminates damage, and respects your privacy. Protection: You can be safe in the knowledge that we are fully covered with public liability insurance, with Gleaming Insurance, to protect you the customer and the public. Not all window cleaners will have this in place, but we feel it is important for our customers and the general public.